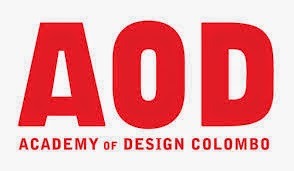 Academy of Design (AOD) is one of the leading design education institute in Sri Lanka and they offers Degree and Diploma programmes under Fashion design, Graphic design and Interior design. Degree programme awarded with collaboration with Northumbria University in United Kingdom. This institute is one of the leading private institute which conduct courses in art and computer based design wroks. Following are several certificate, diploma and degrees programme offers by this Academy of Design (AOD) Sri Lanaka.